Humans are primates like orangutans, chimpanzees, and gorillas who all eat diets rich in fruits and leafy greens. As primates we evolved two legs and two arms for a good reason. Fruit is an ideal food source for human health. In school most people learn about the very basics of biology and the food chain by learning to identify carnivores, omnivores, and herbivores. Humans are lumped in the omnivore category along with bears and skunks who both kill and eat other animals and eat significant amounts of plants as well. Humans position as a animal-killing and eating omnivore is further validated by school history classes that paint “prehistoric” humans as primarily hunters who dwelled in caves, carried long spears, and hunted large animals to feed their families. Because of this narrative, Many people are under an illusion that human beings are by nature designed to consume the flesh, milk, and other parts of other animals. The truth is there is another category of eating that humans belong to but many people have never heard of. Humans are biologically frugivores, like all other primates. Multiple studies have linked prevalence of cancer to consumption of animal foods including meat and dairy. The data supporting the health benefits of a whole food plant-based diet can be found at nearly every level and perspective. Vegan diets have been shown to help in maintaining a healthy weight, are linked to healthy cholesterol levels and a healthy blood pressure, produce healthier guts, reduce stress and anxiety, protect against heart disease and cancer, and protect against obesity and type 2 diabetes. Another way to see the connection between food and disease is to look at the diets and disease rates of large populations for evidence. The graph below shows the percentage of calories from unrefined plant foods that a country’s population consumes as well as the rate of heart disease and cancer in that country. The resulting double bar graph paints a strong picture that adds further evidence to the case for our natural optimal diet. Countries with the most calories from unrefined plant foods experiences the lowest rates of heart disease and cancer as demonstrated by this powerful bar chart. Besides reducing the risk of disease, a whole foods plant based diet has been shown to reverse and heal numerous ailments. 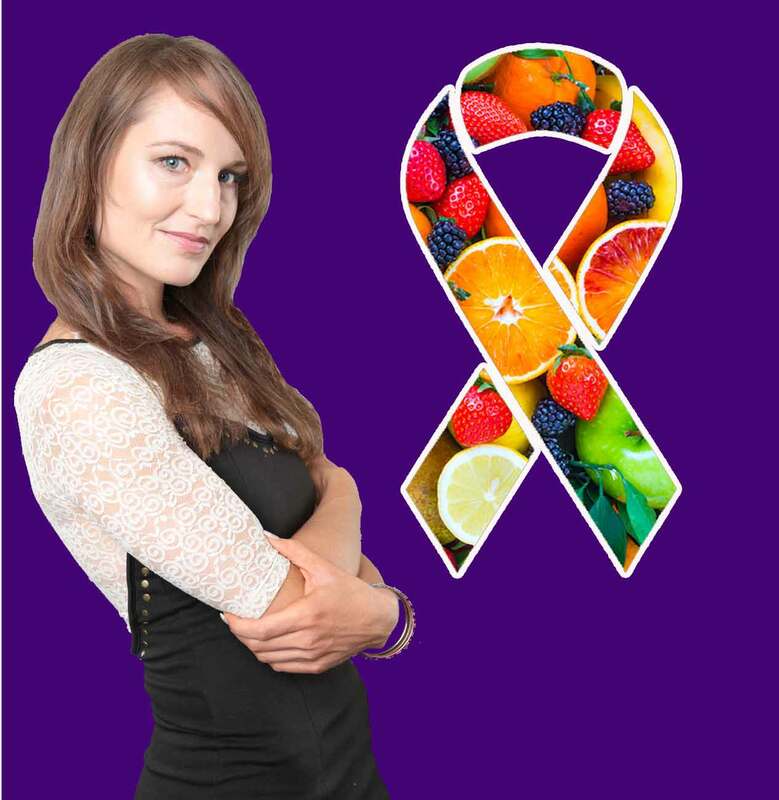 In the Healing With Plants master database is well over 350 such testimonies of people curing numerous autoimmune disease, various types of cancer, skin conditions, diabetes, obesity, and inflammatory conditions simply by eating more fruits and plant foods. Whole plant foods can be served whole, chopped in salads, blended into soups and smoothies, or frozen into nice creams and special deserts. “Eat a variety of healthful foods, with an emphasis on plant sources. The AHA acknowledges that excess weight is directly linked to developing heart disease and an important principle of maintaining a healthy weight is to consume enough dietary fiber. Whole plant foods are rich in dietary fiber and fill up the volume of the stomach triggering a full and satisfied feeling that regulates healthy eating. A common objection to a plant based diet is concern over inadequate nutrition, but this concern is not founded in science. Rather, observed nutritional deficiencies in vegetarians and vegans are attributed to diets high in unhealthy processed foods and low in nutrient-rich whole fresh plant foods. Still, the food industry, specifically the meat and dairy industries, have worked hard to maintain the myth that meat and dairy are essential for nutrition. They market their products as good for, and even essential for, you health. But simple nutrition facts reveal that plant foods are the most nutrient-rich and healthiest food choices. Plant strong: A vegan diet consisting of whole plant foods is ideal for preventing disease. Plant foods gnerally contain all five macronutrients – protein, fat, carbohydrates, water, and fiber in varying amounts. Plant foods also are the most nutrient-dense food choices containing large amounts of vitamins, minerals, and phytochemicals that help protect the body from illness. A common misconception is that animal products are needed to provide adequate nutrition but this is false. There are numerous examples of people living healthy as vegans, on high-raw, and fully-raw diets for most or all of their lives. Some older people who have practiced a whole food plant based diet for many years are living testimony of the age-defying and health-promoting diet. Some of the world’s top performing athletes and body-builders compete and thrive on a vegan diet. Got fruit? A whole foods plant based diet keeps me and my family free from colds, flus, and other sickness. I have not consumed meat in 21 years and have been largely vegan for that time and strictly vegan for the last three years. I have been through two pregnancies and have two happy healthy children who are thriving on a plant-based diet. Like many others practicing this diet I can say our family doesn’t experience sickness like we used to when we included our neighbors’ eggs and some processed foods in our diet. The USDA has also come out with a Healthy Eating for Vegetarians guide. If only they went a step further with stronger language recommending a plant-based diet and warning against the dangers of meat and dairy consumption. But individual doctors and health practitioners are stepping out of the box more with strong endorsements for a whole foods plant-based diet. While many doctors have not spent the time studying nutrition, there is a growing number who have taken up a passion for uncovering the truth in nutrition studies. These doctors, nutritionists, and scientists are helping dismantle food industry propaganda so that the simple truth can reach people – humans are designed to thrive on plants. Reya Steele is a holistic health journalist and nutrition educator. She has experimented with various forms of a plant based diet for over 20 years ultimately leading her to adopt a high-raw whole foods vegan diet for her family. Healing With Plants is a health education channel/website providing you with the research, inspiration, and recipes to heal with plants. Subscribe to Healing With Plants on YouTube and follow us on social media to stay plugged into the good news. 9. Healing With Plants, Is Milk a Healthy Food?